Who doesn’t love getting kisses from their better half? No I don’t mean your partner, your dog of course! It is all fun games until your dog has a mouth that could clear out a room while you are watching the Packers-Bears game with friends. But again, who wants Bear fans in their home?! (Yes I’m a Packer fan). According to the American Veterinary Dental College, periodontal disease is the MOST COMMON clinical condition occurring in adult dogs and cats, and worse yet it is ENTIRELY preventable. How common you might wonder? Several studies have shown that in dogs by age 2 or 3, about 85-90% of them have some form of periodontal disease. This number mirrors what I see in my daily practice. Other than bad breath, there are unfortunately very few signs of periodontal disease. 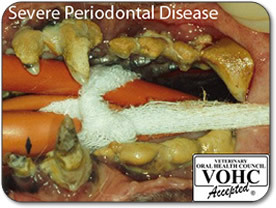 As a result, a dental treatment comes often too late for many of these patients and leads to many teeth needing to be removed. What can you do to prevent dental disease in your pet? can try. My favorite products to use are “dental diets”. I look at this as us brushing our teeth once or twice a day depending on how often you feed your dog. It is easy and dogs love these products. The goal of at home care is the same goal with your own dental health; a beautiful pain-free, functional mouth. Dental cleanings will still be recommended by your veterinarian, just like we see our dentists regularly. 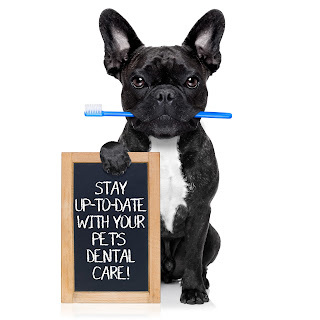 By doing more frequent cleaning treatments, anesthesia time will be less, there will be less teeth extracted over the course of the life of the dog, and there will be less risk of systemic disease as a result of chronic dental disease. In closing, I want your dogs to be among your friends watching the game due to the fact that he/she has a healthy mouth. The more Packers fans the better during a Packers-Bears game! Please look at the following websites for more information and talk to your veterinarian as well regarding dental cleaning treatments. 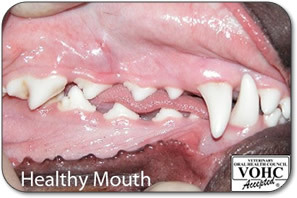 Websites: The American Veterinary Dental College, www.avdc.org and The Veterinary Oral Health Council, www.vohc.org. In this post I learn the dental care tips of my pet teeth and what are some other home care options to keep my pet teeth healthy. We offer Pet Wellness exams for your pet to make sure they are at their best! Just for $29.00 you can get your pet examined by our amazing veterinarian!